Tech Tuesday: 2 Tutorials for Blackboard Users, Cool Stuff! It’s been a busy week with the Republican debates, the exit of Jon Stewart from the political satire stage, positions being cut university-wide and so much more, we need to introduce a lighter moment this morning. 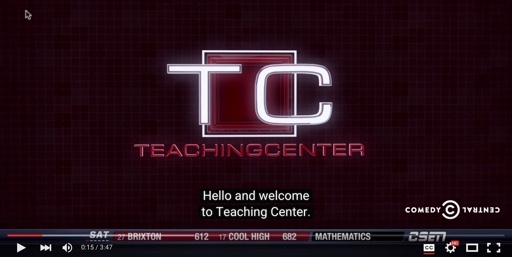 Nicole came across Key and Peele: The Teaching Center. Imagine if educational news really played like this in the media! Take a glimpse and have a great weekend! The exciting world of “pro teaching” — it has quite a nice ring to it, actually.